Welcome to my new lesson series “Bass Oddity!” I’ll be teaching bass enthusiasts how to understand the musical theory of odd-time signatures and how to play some of the awesome bass lines to some of our favorite known and unknown songs that are in “ODDTIME”. “Whipping Post” by the Allman Brothers appeared on their 1969 debut album The Allman Brothers Band. Berry Oakley starts it off with the powerful, rumbling in 11/8 time and then when the verse hit turns into a 6/8 time groove. The tempo is set at approximately 99 beats per minute based on the quarter note. I will show you how to easily tear apart odd-time bass lines and rhythms and interpret different ways to make counting odd-meter easier. Here is the bass tabs for the into to Whipping Post from the Allman Brothers. 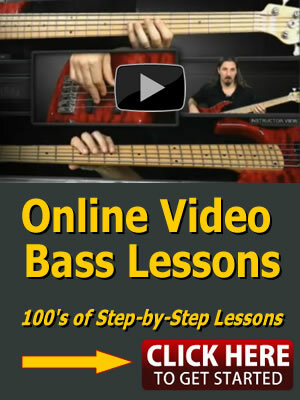 For the full tab from the video bass lesson see the “Bass Lesson Downloads” section lower on the page.